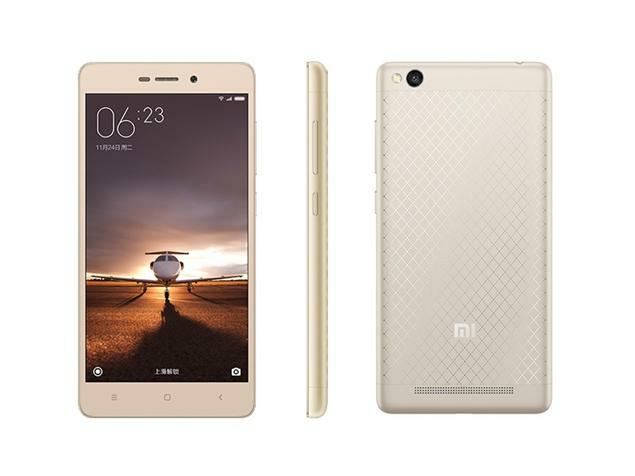 Chinese manufacturer Xiaomi has launched its latest budget smartphone Redmi 3S in India. Qualcomm Snapdragon 430 Chipset based Redmi 3s is launched in two different models called Redmi 3S and Redmi 3S Prime. It also has support of Adreno 505 GPU in it. Price for Redmi 3S is Rs. 6,999 and this model comes with 2GB of RAM and 16GB of storage capacity. Fingerprint Scanner is not given in this model. And another variant of Redmi 3S is Redmi 3S Prime, which has 3GB of RAM, 32GB storage, and Fingerprint scanner also available in it and it is available at the price of Rs. 8,999. Xiaomi Redmi 3S, comes with the metallic body that gives it a nice looks & feel. Its Display size is 5-inch. 720p HD IPS Screen Resolution @ 1280 x 720pixels. This smartphone is powered by an Octa-core Qualcomm Snapdragon 430 processor with four cores clocked at 1.4GHz and four cores clocked at 1.1GHz. Redmi 3S Runs on the latest Android Operating System v.6.0.1 Marshmallow with the Xiaomi's latest User Interface MIUI 7 on top of it. This smartphone comes with a Dual-SIM support which has a hybrid SIM slot which means it can support either two SIMs (Nano + Micro-SIM) or one Micro-SIM and another microSD card. 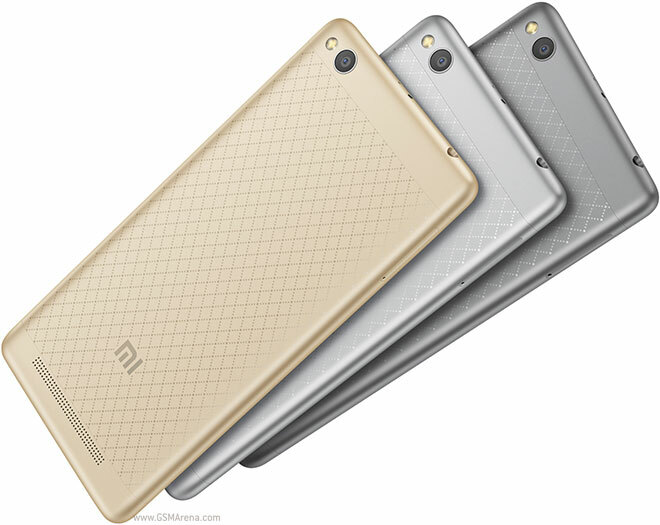 Redmi 3Shandset looks premium and at this low budget price. This smartphone runs MIUI on top of Android 6.0.1 and the software is easy to work through. Xiaomi Redmi 3S has a rear 13 Megapixel camera with F/2.0, PDAF, LED flash and a Front Facing 5 Megapixel Camera with F/2.2 Aperture Speed. Due to its Fast Focusing, the Camera seems quite capable to take crispy and sharp photos and to shoot nice video quality. Both of the Cameras are capable to record Full HD Videos at 1080p and the special features like age and gender detection also given in these Smartphones Handsets. On connectivity ground it has support of 3G and 4G Bands, Bluetooth, Wi-Fi, GPS, FM, as well as the latest VoLTE feature in it - Reliance Jio network may work on it very well. As per Xiaomi statement, when two SIM cards are used simultaneously, the Primary SIM Slot can support 4G Data & Calls, while the second SIM Slot can support 3G calls only. Xiaomi Redmi 3S and Redmi 3S Prime includes Sensors like Accelerometer Sensor, Ambient Light Sensor, Gyroscope Sensor and Proximity Sensor. Other Features & Specs. : Redmi 3S Prime sports a Qualcomm Snapdragon 430 OctaCore SoC (4-cores at 1.1GHz and 4-cores at 1.4GHz) with Graphical Processor Adreno 505 GPU support. This Smartphone has 5-inch 720p HD IPS Display and it runs on Latest Android Operating System 6.0 Marshmallow with Xiaomi’s latest User Interface MIUI 7.5 on top of it. The Redmi 3S Prime has 13 Megapixel Rear Camera which supports PDAF (phase detection autofocus), an F/2.0 Aperture speed, and LED flash. It also has 5 Megapixel Front Selfie Shooter. This Smartphone handset supports expandable storage up to 128GB via microSD Card. Redmi 3S Prime sports a Hybrid Dual-SIM Slots (Micro-SIM + Nano-SIM) First 4G with VoLTE feature and the Second SIM Slot supports 3G only and it is also capable of functioning as a MicroSD Slot. 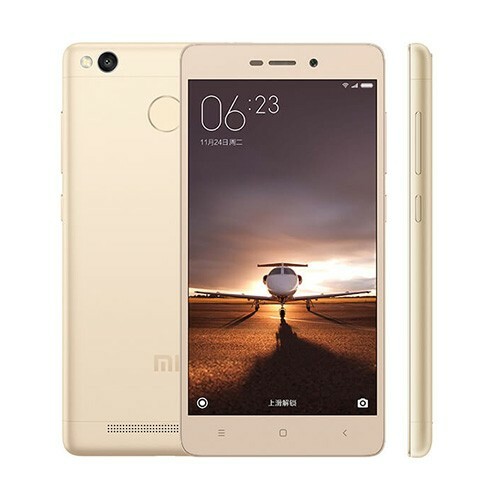 On Connectivity feature, Xiaomi’s Redmi 3S Prime supports 4G with VoLTE, Bluetooth, Wi-Fi 802.11 b/g/n, GPRS/ EDGE, GPS/ A-GPS, GLONASS & Micro-USB Port. It packs 4100mAh of Battery and it measures 139.3x69.6x8.5mm. Good Thing : Premium Looks & design – Single Hand Use – Good Battery Life – Fast Fingerprint Recognition. Bad Thing : It is not purely Dual Sim Device as it supports Hybrid Sim at No. 2 Sim Slot. It gets little bit warm when we use Camera or Gaming. Both of these models available exclusively via Flipkart and Mi.com.